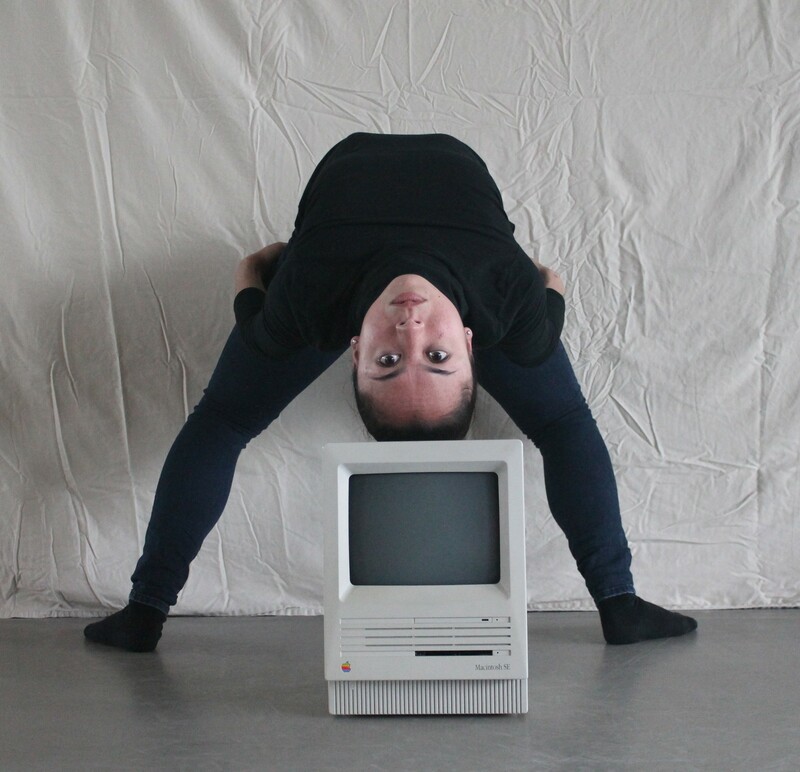 Dance Mainframe: Whose Body is it Anyway? When we met at a rehearsal for her upcoming piece Mainframe, choreographer Katharine Hawthorne brought up Plato’s allegory of the cave. Audience members at one of her previous shows, Analog, thought Hawthorne's use of shadow play was a reference to Plato's tale of our tendency to confuse an image with a thing itself. Though her intentions for Analog were different, Hawthorne found the idea very rich. Paraphrasing Rebecca Solnit’s book River of Shadows, she talked about the way that the screen has begun to seem, for many, more real than the rest of life. She explained that Mainframe was inspired, in part, by Plato and Solnit, but also by the evolution of the computer as an object. The piece will touch on the progression from giant clacking machines to handheld devices speaking in a woman’s voice, and the dancers will lift and dance around Siri’s forebears. Hawthorne reminded me that though punch cards and dot matrix printers have gone the way of the dodo, mainframes are still working away. Mainframe reaches back into the dark depths of early computing by using sounds from Bletchley Park, where Alan Turing and others cracked the infamous Enigma code used by the Nazis. Rather than attempting to represent the adding machines of the past with an elaborate set, Hawthorne will invoke the analytical behemoths of yore with music, costumes, and lighting. 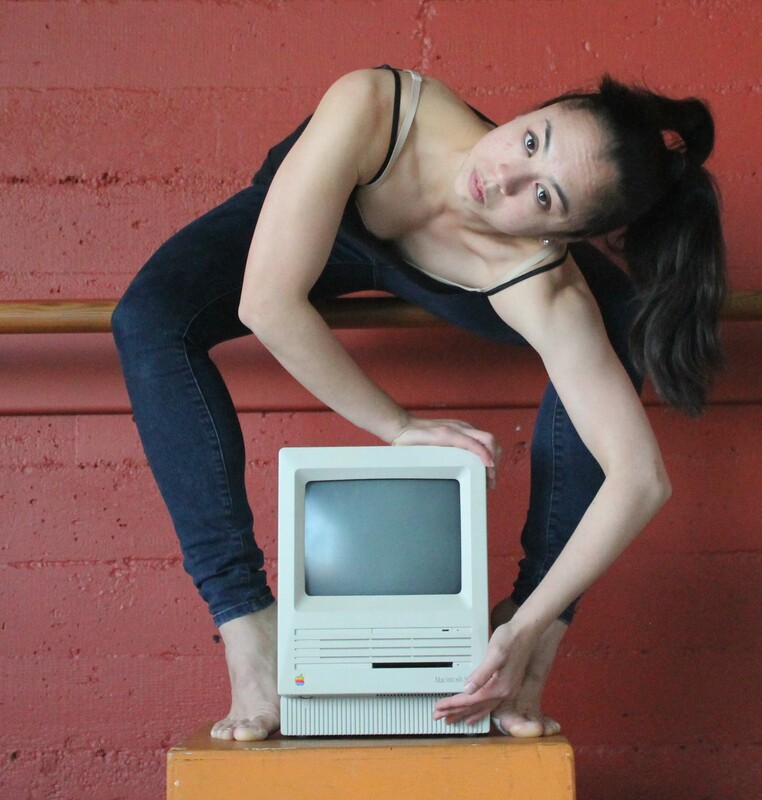 The dancers will also have to deal with the weight of the old Macs they’ll be carrying around, some of which weigh about 50 pounds. At the rehearsal, I watched Hawthorne encourage her dancers to exaggerate the effects of gravity, letting their arms seem to lengthen toward the floor. Ape-like knuckle dragging also came into play as the dancers evoked our animal past, seeming to devolve as they attempted to engage physically with the old computers. You wouldn’t have to go all the way back to our own cave times to find ancestors who would find our gadgets completely incomprehensible. Hawthorne’s previous full-length shows, Analog and Clockwork, also dealt with our relationship to machines and to time. Mainframe deepens the choreographer’s exploration of the impact of the products of our minds on our physical bodies. The show previewed at the Computer Museum in Mountain View, where dancers Gary Champi, Katherine Disenhof, Gabriel Mata, Suzette Sagisi, and Megan Wright performed amidst some of the earliest analytical machines. Hawthorne, who has danced with Liss Fain and other local choreographers, has a background in physics as well as dance, and likes to consider her dances as experiments. She sets up parameters, engages collaboratively with dancers, and evaluates results. But she also reminded me that dance stands on its own, and doesn’t need to be linked to science or technology to have meaning and value. Despite the many enchantments of the screen, there’s no replacement for the human body in motion. I’m riding mine to Mainframe, which runs at ODC December 3-5. Mainframe, Thursday-Saturday, Dec. 3-5, at ODC, 351 Shotwell, 415-863-6606.